The i.MX 8 product family offers the next-gen technology for industrial embedded systems: best-in-class computing power, superior graphics performance and sophisticated security features. 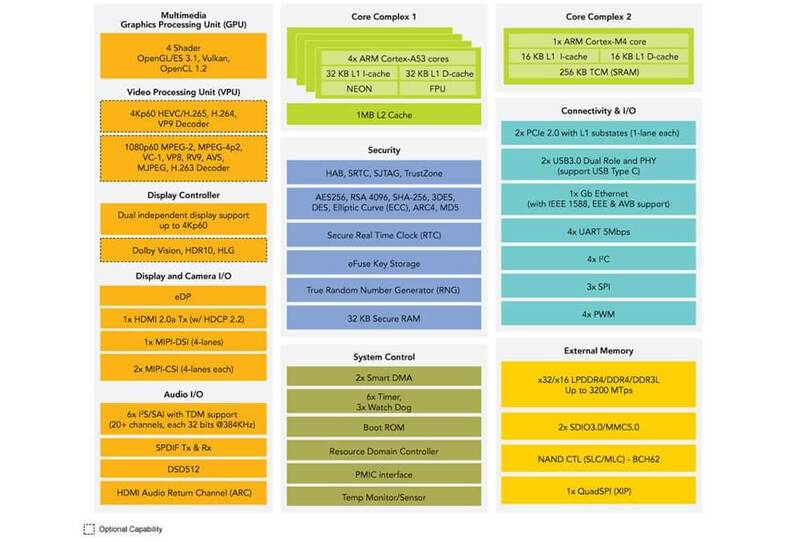 PHYTEC is NXP Proven Partner and therefore gets early access to processors. 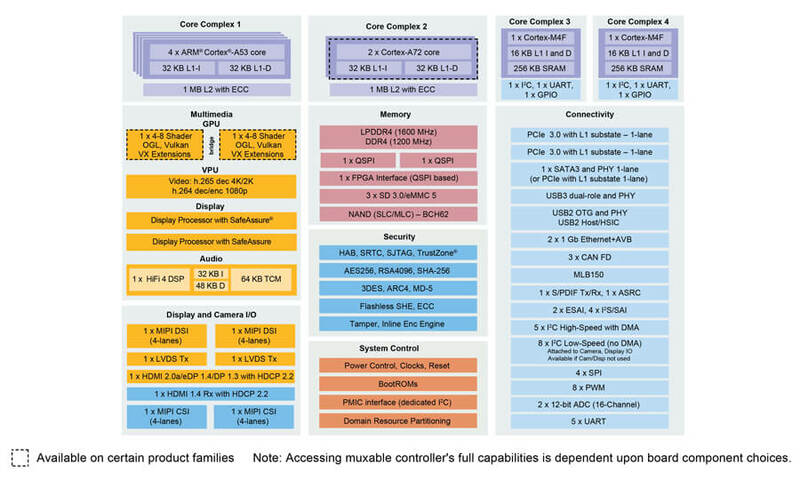 We develop System on Modules, Single Board Computers and turnkey Solutions for industrial use based on the NXP i.MX 8M, i.MX 8M Mini / Nano, i.MX 8 and i.MX 8X applications processors. PHYTEC already supplies Alpha development kits with NXP i.MX 8M and i.MX 8 (Quad Max) processors. Series kits and kits with the i.MX 8M Mini / Nano and i.MX 8X processor versions will follow later this year. Compact, cost-optimized design with industry-standard Yocto-BSP: the phyBOARD-Polaris is a powerful single board computer for industrial use. It supports the graphics performance and multimedia features of the phyCORE-i.MX 8M System on Module. The module comes already soldered to the carrier board. This reduces the height of the SBC and further optimizes costs by eliminating the connectors. The phyCORE-i.MX 8M Mini System on Module combines best-in-class performance and low power consumption with minimal size and affordability. The i.MX 8M Nano is expected to be launched later in 2019. With up to eight processor cores the flagship of the i.MX 8 family is designed to meet highest computing performance requirements for graphics, imaging and security. 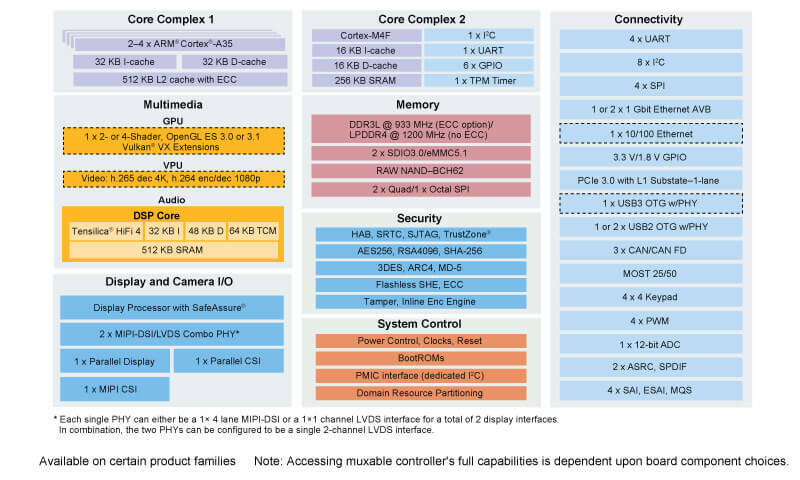 The i.MX 8 full-chip hardwarebased virtualization, resource partitioning and split GPU and display architecture enable safe and isolated execution of multiple systems on one processor. Comprehensive multi-media interfaces make the PHYTEC phyCORE-i.MX 8 an ideal System on Module for image and speech recognition. Thanks to 64-bit LPDDR4 RAM support even large amounts of data can be processed quickly and efficiently. The phyCORE-i.MX 8X System on Module combines high performance with low power consumption. It was designed to be used for general purpose embedded control tasks with a good price-performance ratio. Due to its industrial interfaces such as CAN, the phyCORE-i.MX 8X System on Module is best suitable for common industrial applications. Please use our contact form and get in touch with PHYTEC Germany to receive more information about the i.MX 8 product family and discuss your project with us. The phyCORE-i.MX 8M System on Module will mainly target applications for multimedia, HMI as well as wireless connectivity. The phyCORE-i.MX 8M Mini combines best-in-class performance and low power consumption with minimal size and affordability. With up to eight processor cores the flagship of the i.MX 8 family is designed to meet highest computing performance requirements for graphics, imaging and security. The phyCORE-i.MX 8X System on Module combines high performance with low power consumption. The phyBOARD-Polaris supports the graphics performance and multimedia features of the phyCORE-i.MX 8M System on Module.